The dozen or so men and women sitting at the rough-hewn tables in a large leaf hut in Honiara pondered their worksheets, sketched pictures of crops, trucks, ships and markets, and carefully answered their questionnaires on value chains and cost reviews. Earlier that morning, Heiko Bammann, an Enterprise Development Officer based in Rome with the United Nations’ Food and Agriculture Organisation, had impressed upon this group of Solomon Islanders the link between better farms and better income, sharing information, and pinpointing every step taken from seed selection to final sale. Welcome to the new Kastom Gaden Association. Or, rather, the new role this Solomon Islands NGO is fashioning for itself. No longer just a resource to help its members get the best use of seeds, soil, crops and yields, KGA now emphasises marketing and sales margins as well. And no wonder: with Solomons’ food trade recently estimated by the AusAid-supported Community Sector Programme at $800 million, and the country’s population due to double in the coming decades to 1.1 million, the demand for food will be increasing—along with the chance to profit from it. At the two-day Value Chain Workshop last September—at which four provinces were represented—Kastom Gaden began implementing this new approach of getting farmer-members to regard their plots of land as a business. And themselves as not just producers but entrepreneurs. Founded in 1994 as a project of APACE, an Australian non-governmental organisation, 2009 marks 10 years since Kastom Gaden became one of this country’s first local NGOs. Tasking itself with “promoting self-reliance”, Kastom Gaden has made “improving the lives of rural people” its direct if daunting mission. Johnson Ladota, a Taro farmer from northern Malaita who has worked with KGA since 2003, bears this out. When the Value Chain Workshop ended, he looked forward to spreading the word on entrepreneurship to the highlands. In its own way, Kastom Gaden has faced its own challenges and has organised itself as well.After recently experiencing what co-founder Jansen calls a “painful but necessary” re-structuring that did away with a fragmented “to-and-fro” management approach, KGA is now in a position where it can “make the projects fit the structure and not the other way round”. Still, just as its members must now take on an entrepreneurial role to improve their incomes, so too must KGA to ensure its own future. In its 15 years of existence, Kastom Gaden has grown from having a few hundred farmer-members and a handful of staff, to now having over 2000 members and a staff of 22. In addition, it has 10 partner organisations in five Solomons provinces, works with the S.I. Planting Material Network, is a member of the Melanesian Farmer First Network, publishes newsletters, offers a library service, broadcasts nationally a weekly radio show—and has a budget of SB$4 million. Simply put, if an organisation wants to make the leap from being a donor project to becoming a social enterprise, it needs to broaden its funding base and open itself to various means of income. In regards to Kastom Gaden, such possibilities exist. KGA could pursue having a range of donors, with KGA’s Clement Hadosaia mentioning New Zealand and the European Union as potential candidates, along with Oxfam and the ICCO, both of which recently funded projects with them. Community Sector Programme Agricultural Livelihoods Advisor Grant Vinning cites successful marketing efforts by peanut, vegetable, and fruit growers, in particular a man known as Patterson the Pineapple Seller, who successfully covers his transportation costs by selling to shops, thereby making his sales at Honiara’s Central Market pure profit. KGA has bolstered its once vibrant, then faltering, fresh fruit and vegetables delivery business, “Farm Fresh”, by having Jennifer Kellie, a Honiara businesswoman who also runs a successful dried fruits company, take charge. Indeed, KGA co-founder Jansen, sees the possibility of Kastom Gaden “incubating” other such businesses and then spinning them off to KGA members, with Kastom’s Hadosaia suggesting poultry, seedlings and seeds as likely candidates. Hadosaia doesn’t seem too worried about his organisation’s future down the line. Hopefully Hadosaia’s take will turn out to be a case of well-placed confidence, and not of complacency. It would be a shame if KGA’s less than perturbed outlook turns out to be an instance of so-called “Last Match In The Box” thinking, when a problem is only dealt with once it’s upon you, i.e. once you’ve run out of matches, run out of options. Ideally, KGA will market itself successfully to a range of donors, foundations, even private companies; build up its Farm Fresh enterprise and spur others; complement even further its work with the Ministry of Agriculture. Ideally, in other words, KGA has been going over its equivalent of a Value Chain. Based on what is known of those famine food plants, which have been analyzed in the laboratory, these data also provide a large corpus of spp.., still in need of nutritional analysis, to ascertain which may have nexpectedly high nutritional values and thereby become candidates for growth trials and selection. I would like to contact other specialists, who have an interest in arid land subsistence; and development of underutilized food plants. If you could suggest any individuals and organizations whom I can contact, I will be most appreciative. Through an executive order, Gov. Togiola Tulafono established the American Samoa Food Policy Council, which will advise the governor on all aspects of the food system in the territory. Creation of the council comes on the heels of the “ASIASIGA: a Conference on Food Security in American Samoa” held in February this year in which several issues were discussed including the direction of the future of food security and self-reliance in American Samoa. It was at the conference that participants supported the establishment of the council because there is a need to strengthen food security in American Samoa. Given the territory’s vulnerability to risk factors related to the Territory’s geographic isolation, the limited opportunities to expand export earnings, declining land available for agriculture, the price of oil and dependency on imported food, it was considered essential. According to the governor, a territorial food policy that is designed to produce a safe, sufficient, and nutritious food supply must also balance economic, environmental, political and social considerations important to the people of the Territory. Additionally, there is a need for a lead entity to give sustained attention to food and nutrition issues in a comprehensive manner. The executive order states that the council advises the governor on all aspects of the food system in American Samoa with the overall objective to advise on the critical issue of access to good nutrition for all the people of American Samoa under all conditions. Such advice shall include the territory’s baseline agricultural and fisheries production output; vulnerability of the Territory to food and nutritional insecurity because of the many risk factors; importance of food safety; the need to stockpile food supplies and seeds of essential crops; and the need to identify gaps in the territory’s emergency preparedness with respect to food security. Additionally, rates of non-communicable diseases in American Samoa and their link to food and nutrition; strategies to promote local foods and engage young people; and the importance, in connection with food security, of protecting and maintaining our natural resources such as water quality, soil conservation, forestry health, air quality, and coral reefs will be included. The council membership shall include, at the Governor’s discretion, the directors or their official designees from the American Samoa Community College (represented by the Director of the Land Grant program), the Department of Agriculture, the Department of Marine and Wildlife Resources, the Department of Health, the Department of Commerce, the President of the American Samoa Farmers’ Co-operative, and the Governor’s Senior Policy Advisor. Within the Council are seven working groups: Basic Food Supplies; Nutrition and Health; Special Needs; Food Safety; Emergency Preparedness; Legislation group; and Monitoring and Reporting. The executive order outlines the functions of each working group. Each group’s jurisdiction may be construed broadly enough to allow for the inclusion of other issues related to the group’s purview and to ensure that each issue is properly addressed, according to the executive order, adding that members may be drawn from the community in accordance with any special interests. The director of the Land Grant program chairs the council, who elects their vice chair. Staff of the departments cited as council members are to provide support staff for the council, who shall ensure that it provides an effective forum for diverse stakeholders to work together to create positive changes in the local food system. They will do so by seeking common purposes, fostering collaborative decision making, sharing information whether in printed or electronic formats, adopting integrated approaches to local issues, and maintaining appropriate cultural sensitivity. The council shall issue advisory reports to the Governor, upon request by the Chief Executive and no less than twice a year, on the first Monday of every June and December. On behalf of the governor’s office, the council shall issue an annual summary report to the Legislature and Judicial branches. The council will, as needed, liaise with the Legislative and Judicial. The order also states that the council shall identify specific roles that non-governmental organizations, private sector entities, and community entities can play in partnership with the Government with respect to the design, implementation, and evaluation of policies and strategies. It can also explore cooperation with regional, national and international organizations in support of council goals. * Author to whom correspondence should be addressed; E-Mail: llg13@psu.edu; Tel. : +1-814-863-8636; Fax: +1-814-865-3746. Proponents of participatory plant breeding (PPB) contend that it is more conducive to promoting agricultural biodiversity than conventional plant breeding. The argument is that conventional plant breeding tends to produce crops for homogenous environments, while PPB tends to be directed at meeting the diverse environmental conditions of the farmers participating in a breeding program. Social scientific research is needed to highlight the complex socioeconomic factors that inhibit efforts to initiate PPB programs. To contribute, we offer a case study of a participatory organic seed production project that involved a university breeding program, commercial organic seed dealers, and organic farmers in the Northeastern United States. We demonstrate that, although PPB may indeed promote agricultural biodiversity, several socioeconomic obstacles must be overcome to establish such a program. Countdown 2010 works at governmental level by monitoring countries’ responses to the 2010 Biodiversity Target and at local level by mobilising local actors that take concrete actions. In only a few years of activity, Countdown 2010 has been able to mobilize an increasing number of actors ranging from local authorities and businesses to civil society organizations. With a powerful network of more than 900 Partners, Countdown 2010 is one of the leading initiatives mobilizing action for the 2010 Target. Through its wide and well-established network, Countdown 2010 will be a key global actor for IYB in Europe and around the world. Countdown 2010 Partners will provide one of the main information channels and will be a major vehicle for reaching target groups worldwide. Begin to communicate the post-2010 target(s). 2010 Success Stories. Countdown 2010 Partners’ achievements in biodiversity conservation will be featured in a series of “2010 Success Stories” which will be featured in multimedia formats on the Countdown 2010 website. 2010 Biodiversity Year Schedule of Events. Countdown 2010 hosts a calendar of events happening in 2010 and beyond. The calendar will be linked to the SCBD calendar and will focus on public awareness events organized by partners and other stakeholders. 2010 Communications. Special publications and promotional merchandise will be produced for IYB. A targeted Ambassadors programme will be developed in cooperation with Partners. A mass action promoted by Countdown 2010 through its Partners will seek to engage people beyond the environmental community. Engagement with business. Special projects will be developed with the Countdown 2010 business Partners. In addition, companies will be asked to undertake a specific 2010 commitment for biodiversity. Mobilizing local authorities. Several events on local authorities’ contribution to the 2010 Target and post-2010 framework will be organized in partnership with Countdown 2010 Partners. Global action for IYB. Countdown 2010 Multiregional Hubs in South America, Africa and Asia are planning their celebrations for IYB. They will replicate some of the initiatives carried out at European level and undertake several more of their own. Received 29 January 2009; revised 10 August 2009; accepted 15 August 2009. Available online 9 September 2009. The stringent food safety assessment for novel foods required by the European Union’s Novel Food Regulation (NFR) places a high burden of proof on those bringing traditional food products to the EU market not consumed in the EU prior 1997. The regulation has emerged as a non-tariff trade barrier for heritage foods from developing countries that are viewed as “exotic” from the EU perspective. We show how the regulation has discouraged investment in supply chains and market development, and how this negatively affects income generation and rural poverty alleviation in developing countries. Focusing on plant-derived foods, this paper proposes to recognize traditional exotic foods in current EU law as a food category sui generis with food safety evidence requirements being proportionate to the risks they may pose. We argue that development activities promoting export food chains must increasingly accommodate legitimate food safety concerns about neglected food species in project design and seek to generate data to enhance regulatory acceptance in target markets. Agriculture Secretary Tom Vilsack today announced that USDA has awarded more than $46 million through the Specialty Crop Research Initiative (SCRI) to solve critical specialty crop agriculture issues, address priorities and solve problems through multifunctional research and extension. The Specialty Crop Research Initiative was established by the 2008 Farm Bill to support the specialty crop industry by developing and disseminating science-based tools to address the needs of specific crops in five focus areas: 1) improve crop characteristics through plant breeding, genetics and genomics; 2) address threats from pests and diseases; 3) improve production efficiency, productivity and profitability; 4) develop new innovations and technologies and 5) develop methods to improve food safety. Each of the focus areas received at least 10 percent of the available funds. The majority of the funded projects address two or more focus areas. The projects funded in 2009 address research and extension needs for crops that span the entire spectrum of specialty crops production, from studying invasive mealy bug pests in west coast vineyards to developing biodegradable mulches for specialty crops produced under protective covers. Major projects were also funded to protect important specialty crops from invasive pests and to develop improved varieties. Although 20 institutions will manage the research/extension grant funds from this program, each award includes an average of 8 principal investigators from three other states who will work together in a multi-disciplinary approach to solve problems. All of the awards required 100 percent matching funds from non-federal sources which will double the impact of the award dollars. human needs. Innovative methods for data handling and analysis across disciplines are required, as are protocols for integrating formal and informal knowledge. Workshops, publications, and projects by international networks of scientists will result in various scientific products that will increase useful knowledge for a variety of stakeholder groups. Kent Fleming, Virginia Easton Smith, Skip Bittenbender, AB-17 12 p.
Diane Masuo, Y.L. Malroutu, ET-10 6 p.
Halina Zaleski, R.D. Willer, E.S. Terway, LM-21 5 p.
Ted Radovich, Linda Cox, Jari Sugano, Travis Idol, SCM-27 10 p.
Jim Brewbaker, SCM-28 7 p.
Harry Ako, Adam Baker, SA-2 7 p.
Ted Radovich, Linda Cox, Jim Hollyer, SA-3 14 p.
ScholarSpace is a joint project with the UH Hamilton Library. It contains all the titles available at www.ctahr.hawaii.edu/freepubs that have been issued since about 1996, excluding some for-sale publications), plus some previously out-of-print publications that have been scanned for the project. These latter were published before our publications began to be made available in PDF digital format (see, for example, the Bulletin series, or the Research Extension Series). To begin a ScholarSpace search, go to the CTAHR community home page. The search opportunity is far more robust than that available in the CTAHR databases listed above. Searches probe the entire text of all the documents in the collections. New CTAHR publications will be added to ScholarSpace as they are issued. communities and play an important role in the conservation of biodiversity. Unless agroforestry landscapes are productive, however, farmers will not maintain or enhance the range and quality of tree species in them, and both income opportunities and biodiversity will be lost. enhancement of community seed- and seedling-exchange networks, and the development of locally based tree domestication activities. Equally necessary, but more diYcult to address, isthe development of markets that support genetic diversity in tropical tree species; we discuss approaches by which this may be undertaken. Clean technology to meet poor communities' needs must lie at the heart of any sustainable strategy to combat climate change. A widely-held myth among climate change activists is that discussing the need for improved technology to mitigate or adapt to climate change detracts from political debates on who is to blame for unsustainable lifestyles — and who should pay for their consequences. Like many myths, this one contains an element of truth. Purely technological responses to climate change have, on occasion, been proposed to avoid difficult political choices. The United States' approach to the Asia-Pacific Partnership on Clean Development and Climate four years ago (see Asia-Pacific climate pact launched) is a notable example. But the myth is also a dangerous one. It ignores the fact that any effort to combat climate change will only succeed if it can draw on technologies that do not, in the long run, add to the global burden of carbon emissions (see Climate change's technology transfer challenge). The first political challenge — due to emerge at next month's UN Climate Change Convention (COP-15) in Copenhagen — is to ensure sufficient funding to urgently develop clean technologies. The second is to guarantee that equal effort is devoted to ensuring that such technologies do not hinder the world's poorest communities from improving their standards of living through economic development. The good news is that the first of these challenges seems to have been taken seriously. Climate negotiators have long realised that developing clean technology and transferring it to developing nations are fundamentals of any global strategy to combat climate change. But some assessments of the technological challenge ahead are sobering. A European Commission report emerging from pre-Copenhagen discussions, for example, estimates that the developing world will need up to US$150 billion over the next decade to cope with climate change. One of the more ambitious, yet convincing solutions on the table next month is the G-77 plus China's idea of a UN-operated multilateral climate technology fund (MCTF). Using a multilateral system to identify technological needs and priorities avoids the type of political trading that too frequently accompanies bilateral funding programmes, where donor's interests can be as influential as those of the recipient. But neither more money alone, nor an international mechanism to collect and distribute such funding, will be sufficient. It is equally important to guarantee that a large part of the funded projects are directed at meeting the needs of the poor who are the most vulnerable to the impacts of climate change. This will require political concessions from the developed world that are unlikely to be easily conceded at Copenhagen. In particular, the idea that clean technology should be a 'public good' — a resource free for everyone. Such a commitment would significantly improve access to clean technology by those who need it most but are least able to pay. Similar to the thinking behind 'open access' to scientific research, the idea is that the easier it is to access clean technologies, the more widely the benefits will be felt. But patents increasingly cover clean technologies — whether developed in the public or the private sector. And, despite calls for loosening patent protection, in practice the reverse is likely to happen as corporations and countries view the sale and export of green technology as a path to economic growth. This is true for the developed and developing world alike. Countries such as China and India are already producing new technologies within a market perspective, developing them as a major future source of revenue rather than a free gift. But, as long-argued by economists such as Nicholas Stern and increasingly accepted by governments around the world, climate change represents one of the biggest market failures of all time. If, as with the financial crisis, it was the failure of global markets to stem excessive greed (in this case for energy) that triggered the current climate crisis, markets are unlikely to get us out of it. We need a massive public bail-out of precisely the type that the proposed MCTF represents and that governments have already provided for their financial institutions. But those excluded from markets in the first place, including most of the world's poorest communities, need a different approach. It is here that the 'public good' approach to clean technology is most urgent. If next month's climate talks in Copenhagen can enshrine such a commitment, it would be one of its most significant and long-lasting achievements. BirdLife International is the Red List Authority for birds and released the 2009 update for birds earlier in the year, listing 192 species of bird as Critically Endangered, the highest threat category, a total of two more than in the 2008 update. But the update did highlight some successes, including the downlisting of Lear's Macaw Anodorhynchus leari, from Critically Endangered to Endangered, as a direct result of targeted conservation action. "In global terms, things continue to get worse – but there are some real conservation success stories this year to give us hope and point the way forward", said Dr Leon Bennun, BirdLife's Director of Science and Policy. Of the world's 9,998 birds, 137 are Extinct or Extinct in the Wild, with 192 Critically Endangered, 362 Endangered and 669 Vulnerable. The results of the full Red List update reveal 21% of mammals, 30% of amphibians, 12% of birds, and 28% of reptiles, 37% of freshwater fishes, 70% of plants, 35% of invertebrates assessed so far are under threat. "The scientific evidence of a serious extinction crisis is mounting", says Jane Smart, Director of IUCN's Biodiversity Conservation Group. "January sees the launch of the International Year of Biodiversity. The latest analysis of the IUCN Red List shows the 2010 target to reduce biodiversity loss will not be met. It's time for governments to start getting serious about saving species and make sure it’s high on their agendas for next year, as we're rapidly running out of time." Of the world's 5,490 mammals, 79 are Extinct or Extinct in the Wild, with 188 Critically Endangered, 449 Endangered and 505 Vulnerable. Eastern Voalavo Voalavo antsahabensis appears on the IUCN Red List for the first time in the Endangered category. This rodent, endemic to Madagascar, is confined to montane tropical forest and is under threat from slash-and-burn farming. There are now 1,677 reptiles on the IUCN Red List, with 293 added this year. In total, 469 are threatened with extinction and 22 are already Extinct or Extinct in the Wild. The 165 endemic Philippine species new to the IUCN Red List include Panay Monitor Lizard Varanus mabitang, which is Endangered. This highly-specialized monitor lizard is threatened by habitat loss due to agriculture and logging and is hunted by humans for food. Sail-fin Water Lizard Hydrosaurus pustulatus enters in the Vulnerable category and is also threatened by habitat loss. Hatchlings are heavily collected both for the pet trade and for local consumption. "The world's reptiles are undoubtedly suffering, but the picture may be much worse than it currently looks", says Simon Stuart, Chair of IUCN’s Species Survival Commission. "We need an assessment of all reptiles to understand the severity of the situation but we don’t have the $2-3 million to carry it out." The IUCN Red List shows that 1,895 of the planet's 6,285 amphibians are in danger of extinction, making them the most threatened group of species known to date. Of these, 39 are already Extinct or Extinct in the Wild, 484 are Critically Endangered, 754 are Endangered and 657 are Vulnerable. Kihansi Spray Toad Nectophrynoides asperginis has moved from Critically Endangered to Extinct in the Wild. The species was only known from the Kihansi Falls in Tanzania, where it was formerly abundant with a population of at least 17,000. Its decline is due to the construction of a dam upstream of the Kihansi Falls that removed 90 percent of the original water flow to the gorge. The fungal disease chytridiomycosis was probably responsible for the toad’s final population crash. The fungus also affected Rabb's Fringe-limbed Treefrog Ecnomiohyla rabborum, which enters the Red List as Critically Endangered. It is known only from central Panama. In 2006, the chytrid fungus Batrachochytrium dendrobatidis was reported in its habitat and only a single male has been heard calling since. This species has been collected for captive breeding efforts but all attempts have so far failed. Of the 12,151 plants on the IUCN Red List, 8,500 are threatened with extinction, with 114 already Extinct or Extinct in the Wild. The Queen of the Andes Puya raimondii has been reassessed and remains in the Endangered category. Found in the Andes of Peru and Bolivia, it only produces seeds once in 80 years before dying. Climate change may already be impairing its ability to flower and cattle roam freely among many colonies, trampling or eating young plants. But it's not all doom and gloom, conservation does work and there are some great examples in this year's Red List. In Brazil, Lear's Macaw Anodorhynchus leari has been downlisted from Critically Endangered. Named after the English poet, this spectacular blue parrot has increased four-fold in numbers as a result of a joint effort of many national and international non-governmental organisations, the Brazilian government and local landowners. Can we predict which species will be most vulnerable to climate change by studying how they responded in the past? A new study of flowering plants provides a clue. An analysis of more than 5000 plant species reveals that woody plants — such as trees and shrubs — adapted to past climate change much more slowly than herbaceous plants did. If the past is any indicator of the future, woody plants may have a harder time than other plants keeping pace with global warming, researchers say. In a new study, biologists at the National Evolutionary Synthesis Center (USA) and Yale University (USA) teamed up to find out how flowering plants adapted to new climates over the course of their evolution. By integrating previously published genealogies for several plant groups with temperature and rainfall data for each species, they were able to measure how fast each lineage filled new climate niches over time. When they compared woody and herbaceous groups, they found that woody plants adapted to new climates two to ten times slower than herbs. "Woody plants eventually evolved to occupy about the same range of climates that herbaceous plants did, but woody plants took a lot longer to get there," said lead author Stephen Smith, a postdoctoral researcher at the National Evolutionary Synthesis Center in Durham, NC. The researchers trace the disparity to differences in generation time between the two groups. Longer-lived plants like trees and shrubs typically take longer to reach reproductive age than fast-growing herbaceous plants, they explained. "Some woody plants take many years to produce their first flower, whereas for herbs it could take just a couple months," said co-author Jeremy Beaulieu, a graduate student at Yale University. Because woody plants have longer reproductive cycles, they also tend to accumulate genetic changes at slower rates, prior research shows. "If genetic mutations build up every generation, then in 1000 years you would expect plants with longer generation times to accumulate fewer mutations per unit time," said Smith. This could explain why woody plants were slower to adapt to new environments. If genetic mutations provide the raw material for evolution, then woody plants simply didn't accumulate mutations fast enough to keep up. "If woody and herbaceous plants were running a race, the herbs would be the hares and the woody plants would be the tortoises," said Beaulieu. By understanding how plants responded to climate change in the past, scientists may be better able to predict which groups will be hardest hit by global warming in the future. Unlike the tortoise and the hare, however, in this case slow and steady may not win the race. "Woody groups are obviously at a disadvantage as the climate changes," Beaulieu explained. Does this mean that ecosystems dominated by trees — such as rainforests — will be more likely to disappear? Possibly, "If we look to the past for our clues, chances are trees will continue to respond much slower than herbs — as much as 10 times slower," Smith said. "But if the rate of climate change is 100 times faster, then they could all be in trouble. The kind of change we're experiencing now is so unprecedented," he added. While this study focused on long-term change over the last 100 million years, most climate models predict significant warming in the next century, the researchers explained. "That time frame may be too quick for any plant," Beaulieu said. agricultural research. The need to strengthen public plant breeding programs and educate more professional plant breeders is critical if we are to continue producing improved crop varieties to provide food for an increasing population. Researchers at UC Davis are initiating a study aimed at gaining consensus on the most essential curriculum components for educating plant breeders. Through an iterative process, a diverse group of experts with highly specialized knowledge of plant breeding will be surveyed to elicit ideas and suggestions for educational program content. Over 250 participants from all over the world will be asked to complete the three rounds of this survey, with each round building on the responses gleaned through the prior round. This consensus-based approach will lead to a comprehensive analysis of content and practical experiences that will guide the design of modern plant breeding curricula. Following conclusion of the analysis, all results will be publically available to the international community. "Plant breeders continually provide the world with necessary advances in crop varieties; however, their numbers are diminishing due to retirements and fewer educational programs offering plant breeding degrees," says Dr. Allen Van Deynze, Director of Research at the Seed Biotechnology Center and co-founder of the Plant Breeding Academysm. "The scope of this study provides every participant an equal voice to help improve the training experiences of future breeders and will result in a clear understanding of how to focus educational programs to get the best results." Dr. Cary Trexler, a professor in the College of Education at UC Davis will lead this study in cooperation with the Seed Biotechnology Center. Funding for this study is being provided through the generous support of private companies, university departments, and individual contributors. 21 OCTOBER 2009 MAJURO (SPREP) -----The implementation of the Pacific Islands Framework for Action on Climate Change (PIFACC) has been assessed in a report commissioned by the Secretariat of the Pacific Regional Environment Programme (SPREP). The overview of the report was discussed on the first day of the Pacific Climate Change Roundtable (PCCR). This particular framework is the overarching guidance for climate change policy in the Pacific islands region, and was endorsed by the Pacific leaders in 2005. It is at the forefront of work conducted by the Pacific Futures programme at SPREP. ”Threats from climate change are impacting upon everyone, there are projections that will effect the availability of safe drinking water, a loss of natural biodiversity as temperature conditions will see invasive species thrive, sea level rise threatening the sovereignty of Pacific islands peoples and a threat to food security as salt water inundation becomes a regular occurrence for some nations in the Pacific, said the report. In order to ensure we address climate change together, in a coordinated manner, the PIFACC is a guide as to how we’ll actively adapt and mitigate climate change together. “Findings show that there are a lot of climate change activities happening, but it has been identified that there is a need for more coherent and coordination,” said Espen Ronneberg the Climate Change Adviser for SPREP, he presented the overview of the assessment at the PCCR. Six recommendations were presented in the report. An immediate consideration is the suggestion to conduct a mid-term review of the Pacific Islands Framework for Action on Climate Change. Any future direction for the PIFACC and the Pacific Climate Change Roundtable are to be discussed during the week. “One suggestion from SPREP is to establish thematic working groups to assist in the review process.. There may be other options as to how we move forward on this assessment report but it’s really up to the countries to decide,” said Ronneberg. The remainder of the recommendations includes those which focus on a database of climate change information. It is proposed to establish a single extensive data base of climate change and related projects with historical validity of information. The assessment report also centers on the Pacific Climate Change Roundtable. It is recommended that the roundtable be convened at times and locations that make the most of coordination and integration opportunities, this also takes into consideration minimizing the greenhouse gas emissions through air travel. The next recommendation looks at what takes place after the PCCR. “In order to ensure that decisions made during the Pacific Climate Change Roundtable are carried out in a timely and effective manner, the report recommends that a person be appointed to provide leadership and oversee these actions. A final recommendation looks at providing support for SPREP which is the secretariat to the Pacific Climate Change Roundtable and recommends that the University of the South Pacific establish a unit to provide technical and other support to SPREP. “The next steps that we take, is really up to the countries to decide. I think if we can get some clear direction on what we should be doing to improve on the working arrangements then I would be happy with that,” said Ronneberg. A new Web-based tool is now available for collecting information about initiatives aimed at helping rural communities adapt to climate change through the use of agricultural biodiversity, or agrobiodiversity. Made available by the climate change project of Bioversity International’s Platform for Agrobiodiversity Research, the tool is intended to facilitate dialogue between rural communities around the world and to build a knowledge base, which can be used to increase awareness of practices available to these communities for coping with climate change. Contributions will be synthesized for use in advocating stronger involvement of marginal groups in the climate change policy debate. The term agrobiodiversity encompasses all of the plants, trees, animals, insects, microbes, pathogens and fungi occurring in agricultural systems. The world’s increasing dependence on modern crop varieties and animal breeds of just a few major species is among the forces driving erosion of such diversity, which limits the options open to researchers and farmers for improving agricultural production and adapting it to changing conditions. The Platform for Agrobiodiversity Research was created during 2004 in recognition of the urgent need to arrest diversity loss. Providing a neutral space for exploring the often politicized issues associated with agrobiodiversity, the platform encourages members to engage in collaborative research, helps identify gaps in global knowledge about agrobiodiversity and raises awareness of the threats to this resource as well as the value of efforts to overcome them. The platform is supported by Bioversity International, the CGIAR System-wide Genetic Resources Programme (SGRP) and the Christensen Fund (http://www.christensenfund.org/). Harare — MALAWI and most other African countries need to come up with strategies and policies to promote agro-biodiversity conservation to minimise the impact of climate change and other natural disasters on the livelihoods of resource-poor farmers, a top Malawian plant breeder says. In a wide-ranging interview in Lilongwe recently, Dr Moses Maliro, a plant breeder at the University of Malawi Bunda College of Agriculture, told this writer that the rapid loss of diverse cultivated crops and their wild relatives will affect the poor and threaten the future of agricultural development in Malawi and most other African countries. "The impact of climate change and population is quite damaging to the livelihoods of the poor farmers. "We need to strategise and come up with policies that promote agro-biodiversity conservation to enhance food security and help our poor farmers to cope with this looming climate change disaster," he said. "Monoculture and the aggressive promotion of improved varieties have forced farmers to neglect their own landraces. Smallholder farmers' efforts to promote crop diversity must be supported by governments, international partners and local business community." Dr Maliro said the preservation and use of crop diversity is important to the more marginal diverse agricultural environments where modern plant breeding has had much less success. He said farmers in these areas tend to be poorly served by public research and extension system. "Farmers are neglecting their own traditional crop varieties and their wild relatives in favour of monoculture (maize) and other market-driven crops such as cotton and others. "But when there is a drought and other natural disasters, farmers survive on traditional tubers, wild species and other locally adapted crops," Dr Maliro said. 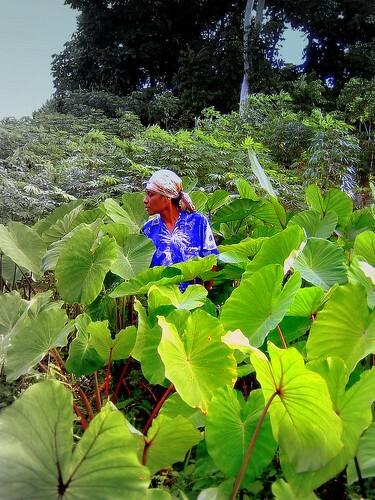 "Food aid normally comes late and is not enough, so the poor depend on these local traditional crops for survival. Why not promote them when they are so critical for our own food security? "We should not impose improved varieties on farmers. Food security is not only about high yields, but is about sustainable production as well in case of unreliable weather conditions and climate change." Malawi has lost a number of local crop varieties due to neglect, erosion of local indigenous knowledge systems, promotion of improved varieties, lack of incentives for locally adapted crops and other factors. "People in Malawi used to grow a lot of sorghum and other small grains, but today you don't see the crops. You rarely see pearl millet and finger millet, you rarely see farmers growing the crops," Dr Maliro said. He said agricultural research institutions, governments and NGOs need to promote the growing of sorghum, millets, bambara nuts, locally adapted varieties of cowpeas (nseula or khobwe), beans (mphodza -mung bean) and other wild crop relatives. "The mphodza bean is there in the villages, but no research is being done nor any work to support farmers to grow it on a bigger scale. "Only the elderly people have the knowledge of these crops that Malawi is fast losing. "The young generation and our curricula in colleges and universities must be overhauled to promote indigenous food crops which are critical with this looming climate change crisis. "If we don't anything to change our attitudes and support the farmers to grow these crops, the next generation will starve to death due to the damaging impact of climate change," said Dr Maliro. "We need to conserve local crop varieties. These are very nutritious and we can use them, for example, cowpeas, to bake bread and fortify bread-making process. "Roots and tubers are there in villages, but we are doing nothing to conserve them. Africa cannot afford to lose this diversity and the indigenous knowledge ingrained in these food crops." Malawi and other African countries, he said, should adopt practical steps to promote small grains, roots and tubers to enhance food security, conserve crop diversity and enhance the capacity of smallholder farmers to cope with climate change-related risks. Agricultural research institutions, he said, need support to scale up training in indigenous crops, crop seed back-up and plant breeding to help Malawi to be food secure in case of drought and other natural disasters. Given that the majority of poor people in Africa live in villages or rely on agriculture, and that agriculture paves the way for economic growth in the poorer nations, agricultural and rural development remain a major driver for the achievement of Millennium Development Goals which seek to end hunger and extreme poverty. Environmentally friendly agriculture such as the promotion of the growing of locally adapted indigenous food crops and rural development are key to this effort to attain MDGs by 2015. The promotion of crop diversity tackles the malnourishment component in food security and helps the poor to escape poverty as they are able to learn, work and care for themselves and their family members. If crop diversity issues are not addressed fully, hunger and over-reliance on food aid sets in motion an array of problems that perpetuates malnutrition, reduces the ability of adults to work and to give birth to healthy children, and erodes children's ability to learn and lead productive, healthy, and happy lives. Lack of promotion of crop diversity can undermine human development and the potential of most African countries to attain the MDGs. Africa, which is home to more than 50 000 known plant species, 1 000 mammal species and 1 500 bird species, is increasingly experiencing major losses of its large and diverse heritage of flora and fauna. According to the 2007 United Nations Food and Agriculture Organisation report, there are roughly a quarter million plant varieties available for agriculture but less than 3 percent of these are in use today. The UN agency is concerned that with disuse comes neglect and possibly neglect of the continent's plant food resources. FAO further points to another worrying trend -- that modern agriculture is concentrated on a small number of varieties designed for intensive farming. This, according to the report, has dramatically reduced the diversity of crop plant varieties available for agriculture, leading to accelerated genetic erosion on the continent. Supporting smallholder farmers to conserve crop diversity wherever possible and greater political commitment is vital to enhance food security in Africa. This can, at least, help bring the continent a step closer to attaining MDGs by 2015. Food Safety training was a big hit with Majuro farmers . training (Monday & Tuesday) were held at CMI’s Land Grant Arrak Campus focusing on Food Safety. From Wednesday to Friday the training was held at the Women’s Training Center in Food Training a Big Hit with Majuro Farmers Delap focusing on Food Processing. While most of the participants were Farmers, there were also representatives from Youth to Youth in Health (YTYIH), CMILand Grant and a few NGOs. The International Institute of Tropical Agriculture in partnership with Nigerian farmers has begun preliminary trials of propagating yam through vine cuttings on farmers’ fields in Niger State, north central Nigeria. The success of the trials and adoption of the new yam growing technique will substantially cut down the volume of yams used by farmers as seed yams. “The technology will definitely save farmers the cost and pains of acquiring seed yams,” says, Joshua Aliyu, a staff with Niger State Agricultural Development Project, who is also working on the trials. “It is actually a rebirth of yam cultivation in our community,” he adds. The new yam growing technique has potential to eliminate the transmission of yam diseases (nematodes), which constitute considerable damage to yam tubers, according Dr. Hidehiko Kikuno, IITA’s Yam Physiologist and project leader. On February 15, IITA and partners announced a breakthrough in the propagation of yams through vine cuttings via a research funded by the Japanese government (MOFA, MAFF), the Sasakawa Africa Association, Tokyo University of Agriculture and the International Cooperation Center for Agricultural Education, Nagoya University, Japan. Other partners in the research include the Tokyo University of Agriculture; National Root Crops Research Institute - Umudike, Nigeria; Crop Research Institute, Kumashi, Ghana and the Institute of Agricultural Research for Development, Cameroon. The new yam growing technique makes use of vine cuttings planted in carbonized rice husk (CRH). After rooting and sprouting, the seedlings are transferred to the field or directly planted into nursery bed with CRH under shade. Kikuno says the abundance and availability of rice husks—the growth medium – in rural communities makes the research relevant. “This is because farmers can propagate the yam through vine cuttings by themselves,” he says. In sub-Saharan Africa where the cost of planting materials (seed yams) account for about 50 per cent of the total cost, the new technology is seen as an option that will not only cut down the cost of production of yams but also make available more yam tubers for human consumption. A roundtable on increasing trade in Pacific coconut products is being held over 17–18 June in Fiji. The Asia Pacific Coconut Community-SPC Roundtable will discuss the latest trends in coconut processing and market prospects. During the official opening of the meeting, the Director of the Secretariat of the Pacific Community’s (SPC) Land Resources Division, Mr ‘Aleki Sisifa, acknowledged the political support of the governments of Fiji and Samoa and welcomed the Hon. Joketani Cokanasiga, Fijian Minister of Primary Industries, and Hon. Taua Kitiona, Samoa Minister for Agriculture. The meeting is being held at the Tanoa International Hotel in Nadi. Mr Sisifa said that the Pacific region was experiencing unprecedented and accelerating change, with the population of Pacific island countries and territories having more than doubled over the last 50 years. “We have made our voices heard in international forums about the real threat of losing land, even whole islands, to sea level rise, and the potential for increasingly extreme events associated with climate change,” Mr Sisifa said. He said land degradation and associated floods and soil erosion had resulted in serious siltation of rivers and coastal areas. Soils were becoming more saline, drier, poorer in nutrients and richer in pests as fallow periods shortened. Mr Sisifa said that the coconut forms the basis of robust and sustainable multilayer farming systems that have been developed in Pacific countries and territories over generations. Intercropping of coconuts with food and cash crops and running cattle and small animals under coconuts have proven to be sustainable types of land use suited to the geographic, climatic and socio-economic conditions of Pacific Islands. Research and development on the coconut has been occurring since the colonial days. More recently, the focus has been on their cultivation and maintenance. Helping countries and territories to increase their export trade is a new area of focus for SPC with work being carried out through its European Union funded FACT (Facilitating Agricultural Commodity Trade) project. Mr Sisifa expressed SPC’s gratitude to the European Union for this assistance. The FACT project aims to sustainably increase the quality and range of exports of Pacific agriculture and forestry products, and to contribute to the integration of the 14 Pacific ACP countries into the regional and global economy. The meeting, which is being attended by 100 participants from around the region, will end with participants charting a way forward for the region’s coconut industry. Wednesday, 16 June 2009, Secretariat of the Pacific Community (SPC), Suva, Fiji Islands — Recognizing that international cooperation and open exchange of genetic resources are both essential for food security, the Pacific region has placed the collections held by the Centre for Pacific Crops and Trees (CePaCT) in the Multilateral System of the International Treaty on Plant Genetic Resources for Food and Agriculture (ITPGRFA). The Hon. Taua Kitiona, Samoa’s Minister of Agriculture, representing other ministers and the region, attended the 3rd Session of the Governing Body of the ITPGRFA in Tunis, and in the opening ceremony on 1 June formally placed these collections into the treaty system. With the ITPGRFA, crops that produce our food – breads, curries, tortillas – are put into a common pool. The treaty facilitates access to those crops for all users and ensures fair and equitable sharing of benefits derived from their use. The ITPGRFA is a global treaty for food security and sustainable agriculture, and is vital for ensuring the continued availability of the plant genetic resources that countries need to feed their people. Crop diversity is an essential tool for generating crop varieties that can help farmers manage climate change. Like all other nations of the world, Pacific Island countries and territories do not have enough crop diversity within their borders to sustain productive systems. Outbreaks of new pests and diseases can wreak havoc with crops that do not include resistant varieties. This was dramatically illustrated in Samoa in the early 1990s when taro leaf blight totally destroyed taro production because of the susceptibility of the cultivar being used. Climate change is likely to bring other similar challenges. In 1996, to address these challenges, Pacific Ministers of Agriculture attending a meeting hosted by SPC resolved to put in place policies and programmes to conserve, protect and use their plant genetic resources effectively for development. In response, SPC established a regional genebank in 1998, now known as the Centre for Pacific Crops and Trees (CePaCT). SPC’s work on genetic resources has not stopped with the establishment of the genebank. An active network – PAPGREN – was established in 2004 to strengthen capacity in the region for conservation and utilisation of plant genetic resources for food and agriculture. Much has been achieved by both the Centre and PAPGREN in raising awareness of the importance of crop diversity in the region, especially in light of current challenges. In their second regional conference in Samoa in 2008, Pacific Ministers and Heads of Agriculture and Forestry acknowledged that although the Pacific has significant diversity, there is no assurance that national biodiversity will be sufficient to sustain food production in the future, especially given the projected effects of climate change. The region must be able to access the global pool of genetic diversity, which can be achieved through ratification of the treaty. At the same time, the ministers also saw the importance of putting in place mechanisms to establish the key collections of the Pacific within the global system, enabling the region to contribute to global food security and be part of a global network that will support the sustainable conservation and use of these collections in the future. “The signing of these agreements by SPC has been fully endorsed by the Pacific region, recognising we live in one world despite the miles between us. To survive the many challenges of this century, we need to work together, sharing our resources and importantly further recognising that the genetic diversity found in genebanks today may become the most important resource we have in shaping an effective response to climate change,” said the Hon. Taua Kitiona in his address to the governing body of the Treaty. grant agreement with Secretariat of the Pacific Community to safeguard collections of yam and edible aroids. The agreement comes into effect as the Secretariat signs International Treaty on Plant Genetic Resources and places collection into the Treaty’s multilateral system. enthusiastic about this partnership and what it means for the sustainable conservation and utilisation of the region’s important crop diversity, and therefore food and nutritional security and economic growth in the Pacific region. The importance of crop diversity to sustainable development in the Pacific region is becoming more and more apparent, especially as farmers try to maintain and improve food production in the face of a changing climate. SPC is highly committed to the long-term conservation of its region’s crop diversity. new storage centre, which will provide excellent facilities for long-term conservation of plant genetic resources. The centre will open in September 2009. Over 5,000 samples of seed varieties are expected to be shipped from Nigeria to Svalbard Global Seed Vault in Norway next month. The shipment, to be undertaken by Africa's leading Agricultural research partner, the International Institute of Tropical Agriculture (IITA), will be the second to be made to the facility in Norway in a move aimed at preserving the genetic resources of African crops. "This year's shipment will involve about 5,000 seed samples of soybean, maize, bambara nut, cowpea, and African yam bean, in more than 10 seed boxes,"said Dr Dominique Dumet, head of IITA's Genetic Resources Center. In a statement released in Dar es Salaam by IITA regional office, Dr Dumet said the whole aim of the shipment to Svalbard is about conservation of genetic resources and agro biodiversity for humanity. According to the statement, agro-biodiversity is a term that captures all forms of life directly relevant to agriculture, from crop varieties to crop wild relatives, livestock, and many other organisms such as soil fauna, weeds, pests, and predators seen to be disappearing faster than any time since the demise of the dinosaurs. According to the United Nations Environment Programme's 4th Global Environment Outlook report, the ongoing loss of biodiversity will restrict future development options for rich and poor countries with negative impacts on food security. To stem the loss of agro biodiversity, the IITA Genetic Resources Center, located in Ibadan, Nigeria, has over the years, conserved more than 28,000 accessions of IITA mandate crops. The centre houses the world's largest collection of cowpea-a key staple in Africa, offering an inexpensive source of protein- with over 15,000 unique varieties from 88 countries around the world. The Svalbard Seed Vault is another safety net designed to hold duplicated genetic resources. "It actually serves as a backup for genetic diversity. For instance, there are some genes in the seeds that we are conserving now that might solve problems of future generations, such as lack of resistance to diseases or tolerance for drought," Dr Dumet explained. ROME, ITALY (22 May 2009)—The Global Crop Diversity Trust announced today numerous new grant awards to support scientists to explore the millions of seed samples maintained in 1,500 crop genebanks around the world. They will search for biodiversity critically needed to protect food production from the ravages of climate change. The awards support a wide range of innovative projects, including a search in Southeast Asia and the Pacific for bananas that are resistant to banana streak virus, which will likely become more problematic with climate change; transferring traits from a wild to a cultivated variety of potato that convey resistance to a soil-borne pathogen responsible for bacterial wilt; a search for novel traits with tolerance to heat and drought stresses in Chilean maize crop collections; a project in India to find pearl millet that can handle scorching temperatures; and a project to increase the ability of maize to cope with erratic rains, while increasing its nutritional quality for small-scale, marginal farms in Sub-Saharan Africa. Working together with the Trust in the effort will be the Generation Challenge Programme (GCP) of the Consultative Group on International Agricultural Research (CGIAR) and the UN Food and Agriculture Organization's Global Partnership Initiative for Plant Breeding Capacity (GIPB). "We want to support scientists to probe crop genebanks for natural traits that will allow farm production to stay one step ahead of climate change," said Cary Fowler, Executive Director of the Global Crop Diversity Trust. "The data are now clear that rising temperatures, radically altered precipitation patterns and new infestations of plant pests are on the near horizon, and we need to look to our crop genebanks for the traits that will help us avoid a crisis."